These vintage clip on earrings measure 3.5cm. They are plated in silver and have the Jewelcraft hallmark stamped on the clip on hinge. 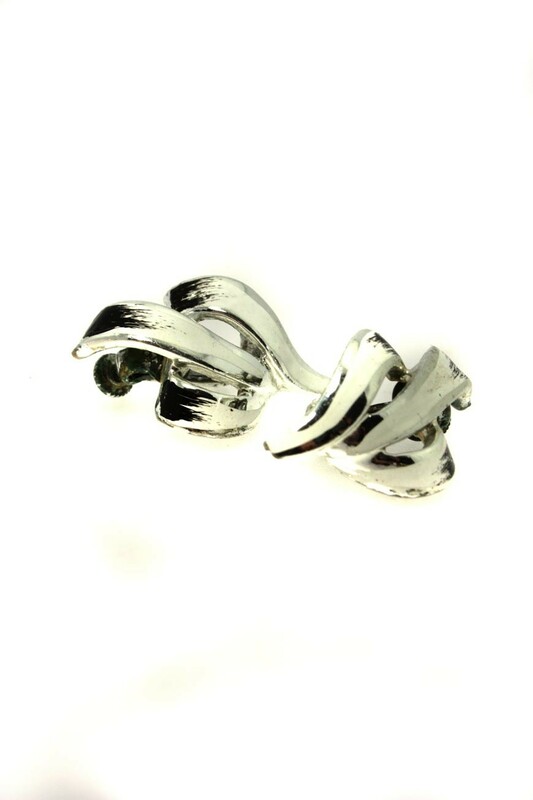 Each earring is coated with enamel in a black and white brush stroke design. They are in good condition.